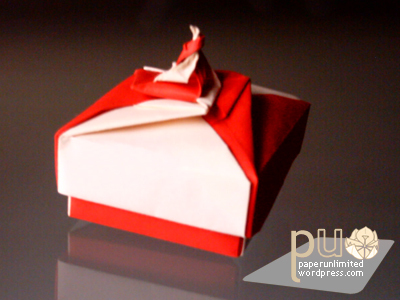 While waiting for yesterday’s post to appear here it is: the blog’s first box. Another diagram from the FUSE Tomoko’s book らせんを折ろう. This box is one of the five that appear in the book and is named らせんBOX 1/ spiral box 1; it’s a “short” box and is also very easy to fold and assemble. If made with less thicker paper the result will be much better to look at. The box lid and the body are made with 4 units each. 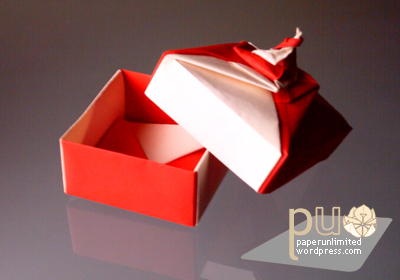 This entry was posted on 2007|02|07 at 17:37 and is filed under modular origami. You can follow any responses to this entry through the RSS 2.0 feed. You can leave a response, or trackback from your own site. I want to learn make this box! Tell me How to make this amazing box please!!! Thank You it looks quite difficult.